Cat's claw has been used for centuries in South America to prevent and treat disease and a variety of health conditions, including viral infections (such as herpes and HIV), Alzheimer''s disease, cancer, and arthritis. It also has been applied to support the immune system and promote kidney health, as well as to prevent and abort pregnancy. Other ailments where this herb might be helpful are to treat intestinal ailments such as Crohn's disease, gastric ulcers and tumors, parasites, colitis, gastritis, diverticulitis and leaky bowel syndrome. 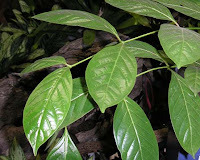 Preparations of cat's claw can also be applied to the skin. Dried root bark of a woody vine that grows in the Amazon rain forests in Peru and other South American countries. Capsules, tablets, liquid and tea bags; 250 mg to 1,000 mg daily. Buy only products that contain Uncaria tomentosa. Another plant (Acacia greggi), which also has the name cat's claw, is highly toxic. Believed to have anti-inflammatory properties; may stimulate immune system. Researchers in Peru state that anti-inflammatory properties may result from the ability to inhibit the cytokine tumor necrosis factor alpha (TNF-α). In 2002, the Journal of Rheuma­tology published a randomized double-blind study of cat's claw for the treatment of RA. Researchers found the supplement modestly reduced joint swelling and pain in 40 people with RA. Cat's claw can cause headache, dizziness and vomiting, and can lower blood pres­sure, so don't use if taking an anti-hyper­­tensive medication or blood thinner. Do not use if you have tuberculosis or are taking drugs that suppress the immune system. Don't take it if you are allergic to plants in the Rubiaceae family and different species of Uncaria, it may cause an allergic reaction. Even though it is already mentioned, one Cat's Claw is lethal, the other is medicinal. Make sure you have the real deal. Even though the names are the same, one is toxic! It could mean the difference between life and death. It is the same with life. One life is earthly, one is eternal. One life is a poisoned one, the other is a medicinal one. Make sure you choose the real deal. Even though the names are the same, one is toxic! It is the difference between life and death. Thanks sis. I am so glad you are back! Corry, great post. You always give the best infomation. I have found your articles helpful. I trust you are all doing well. My prayers are with you as always. Blessings to you. Thanks so much for the prayers. We really appreciate it. We all are doing well and we pray y'all are too.